extra $5 for personaliztion on other side! holds a 12 back of drinks! Take it to the game or watcing the game at home! Great size for any age! These reusable shopping totes are the perfect birthday, Christmas, and teacher gift. They are only $15 personalized with your name or 3 letter monogram. They can be personalized in any color. They are really large - 13" wide, 17" tall and almost 9" deep! 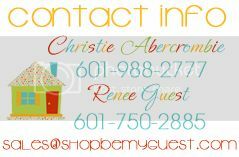 Please email us at sales@shopbemyguest.com to order! Supplies are limited! Order now for Christmas. $14.00 includes art and name for your little cowboy! cookie jar for birthday gifts, teacher gift, Christmas gift! We are NOT shipping these... pick up only. The size is perfect for a cookie jar!